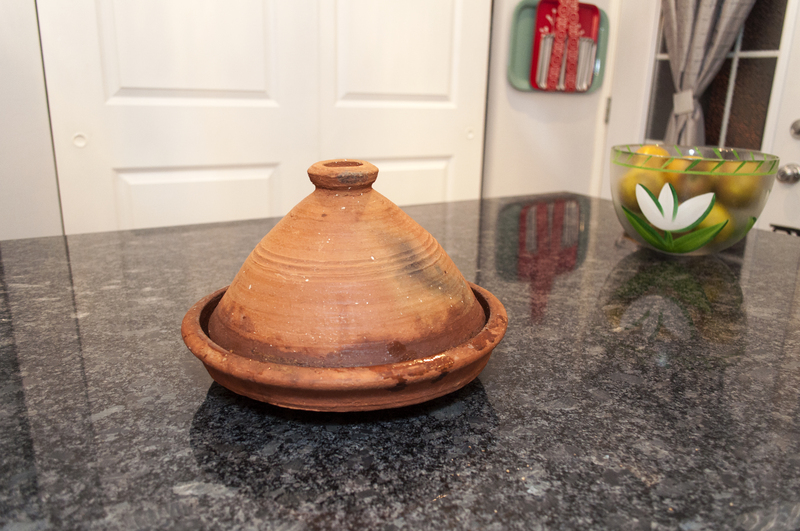 Our friends came back from their honeymoon in Morocco with a fantastic clay tagine for us. 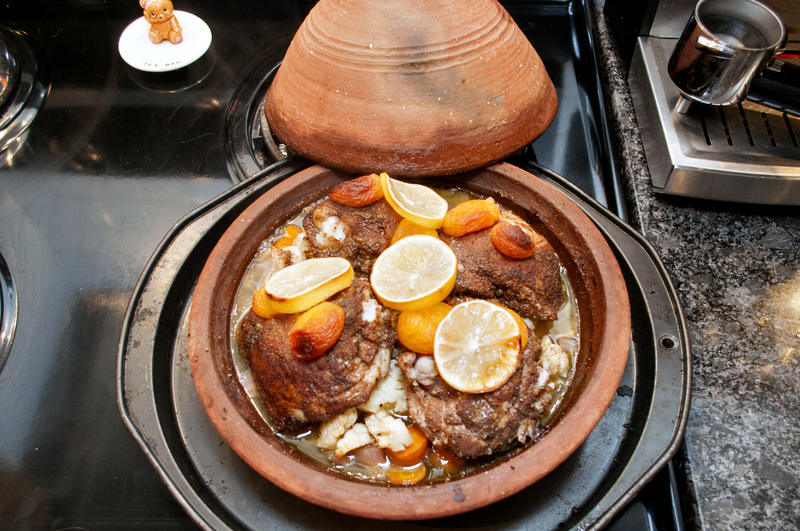 A tagine in a type of earthenware cooking pot with a conical lid made to keep heat and moisture in the food as it slowly cooks. 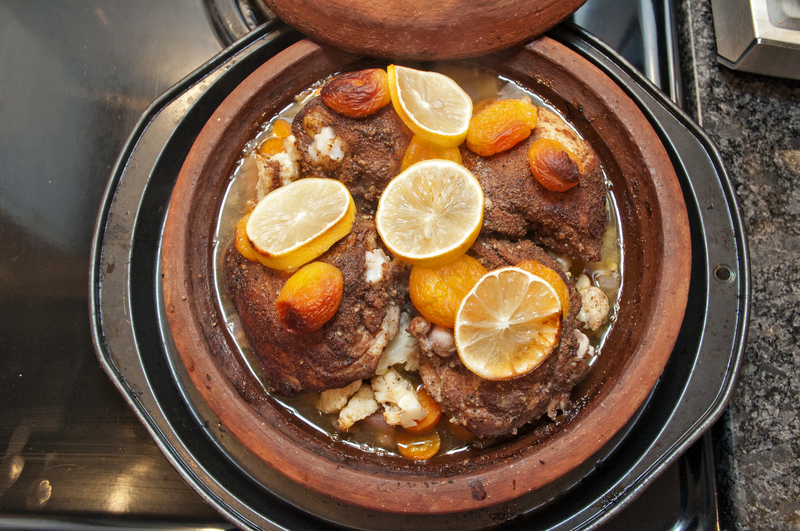 For this recipe we do recommend a tagine, but any deep, oven-proof, dish with a cover can be used! 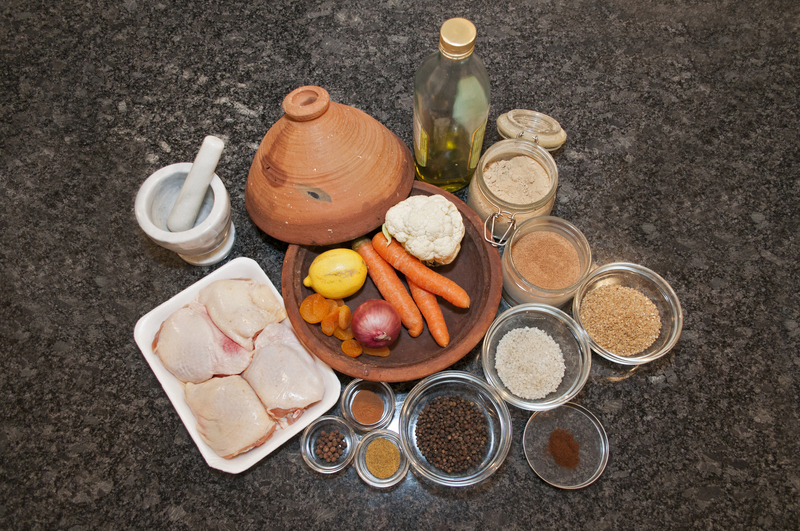 Spices are key to North African cooking. Although you can buy spices that are already ground, I’d suggest buying whole spices and grinding them yourself with a mortar and pestle like you see pictured above. 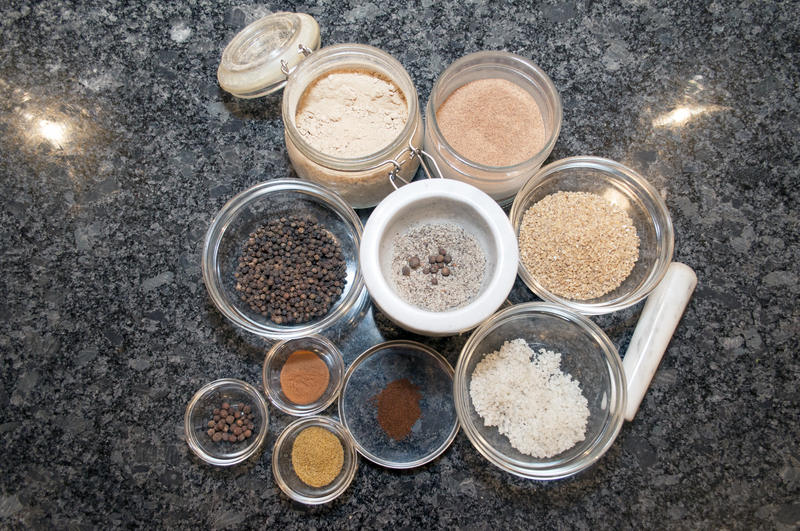 Freshly ground spices have much more flavour and the aromas you’ll get while grinding will give you a greater knowlege of what each spice is adding to the mix. 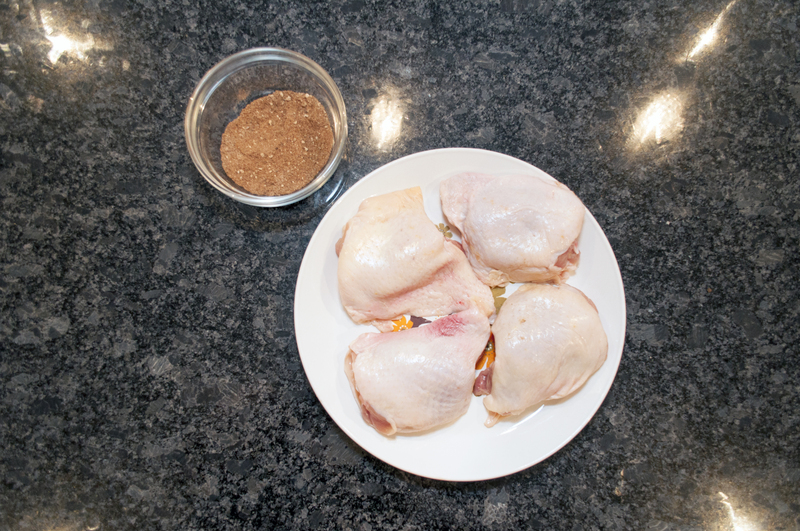 Spice rub is created by just combining the ingredients and mixing well. 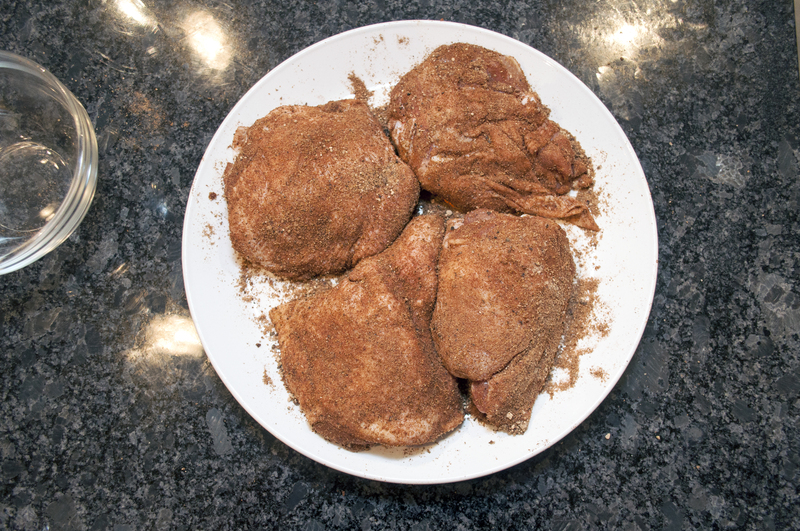 Now, go get those chicken thighs and the spice rub you just made. 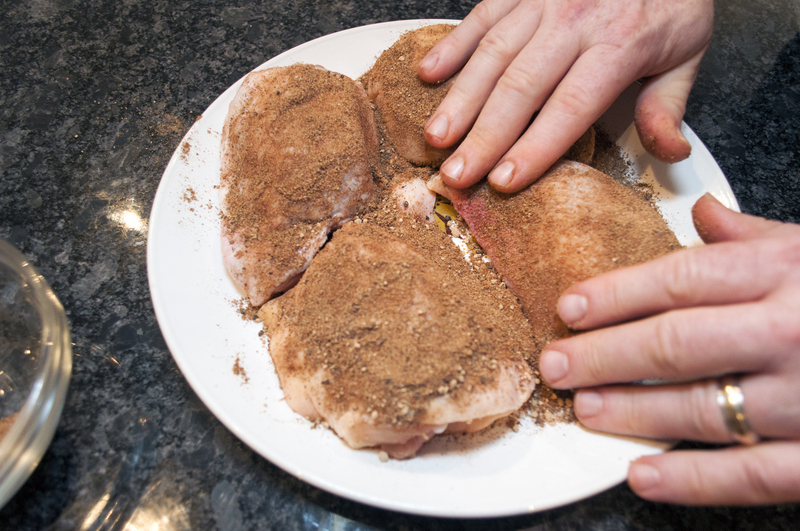 Rub in the spice rub … why did you think we called it that? Make sure chicken is entirely coated! 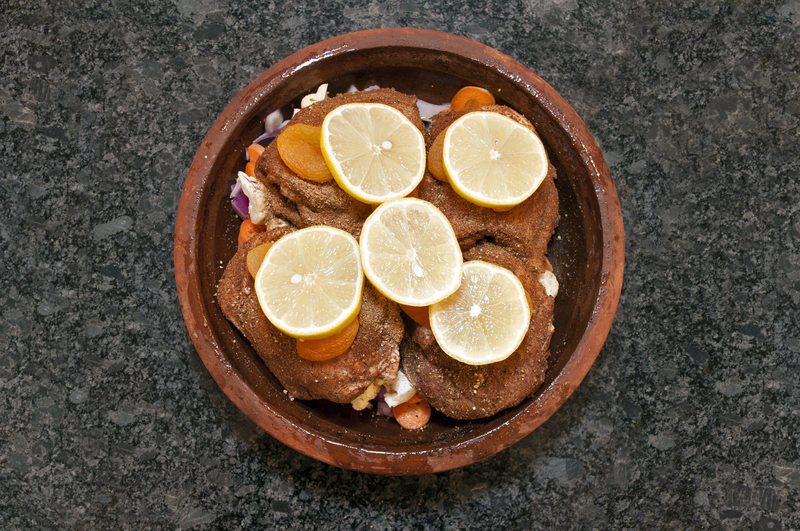 Now, coat the bottom of your tagine with olive oil. 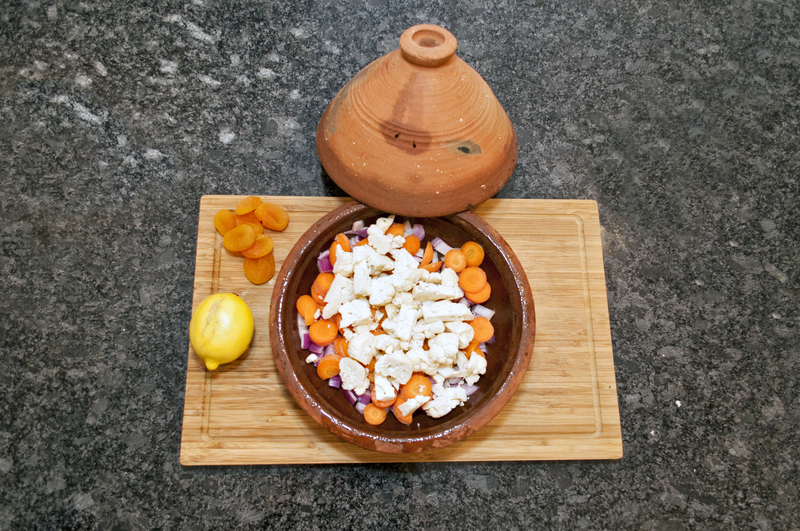 Chop the carrots, onion and cauliflower and add them to the tagine. Place the chicken on top of the chopped vegetables. 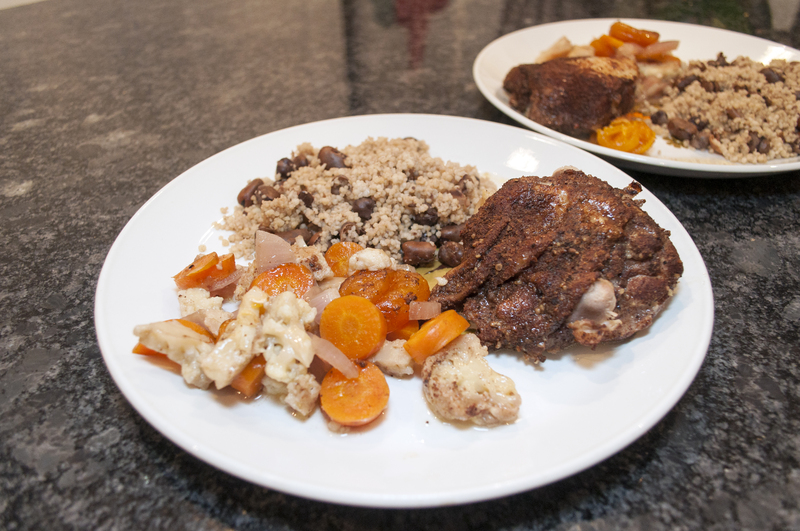 Put the dried apricots on top of the chicken thighs. Slice the lemon and place the slices on top of the chicken thighs as well! If you want you can add a little water or chicken stock to the bottom of the tagine, but it’s optional. 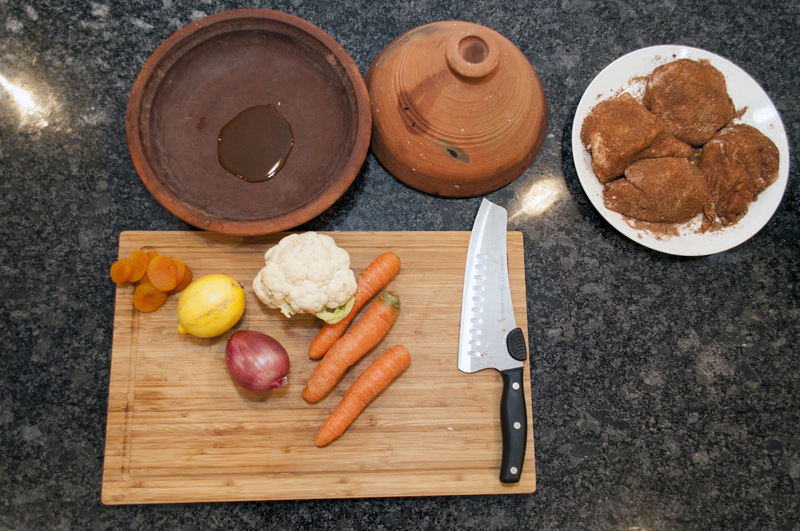 Now, we have to finish preparing the tagine itself! 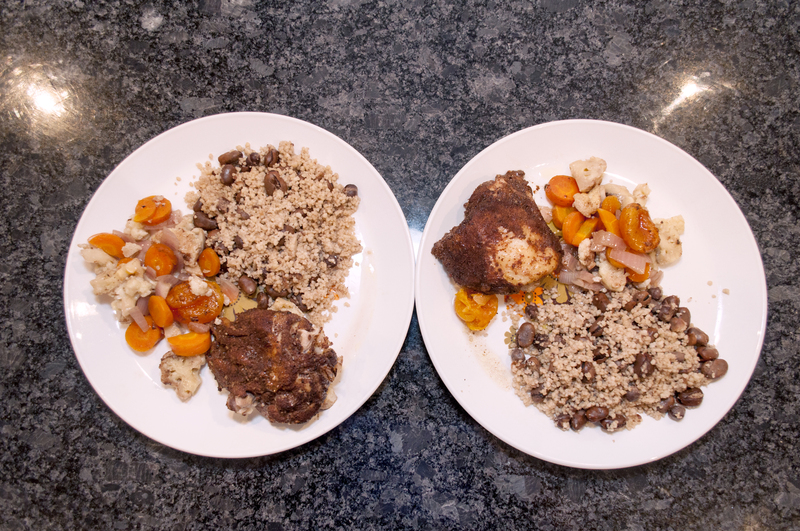 And through the magic of the internet and hour has passed and here’s your finished tagine! I’d recommend you serve it along with some couscous. Here I’ve added some chick peas and fava beans to the couscous. If you live in the Montreal area, we’ve found the best place to find any ingredients for Middle Eastern/North African cooking is Adonis Market! 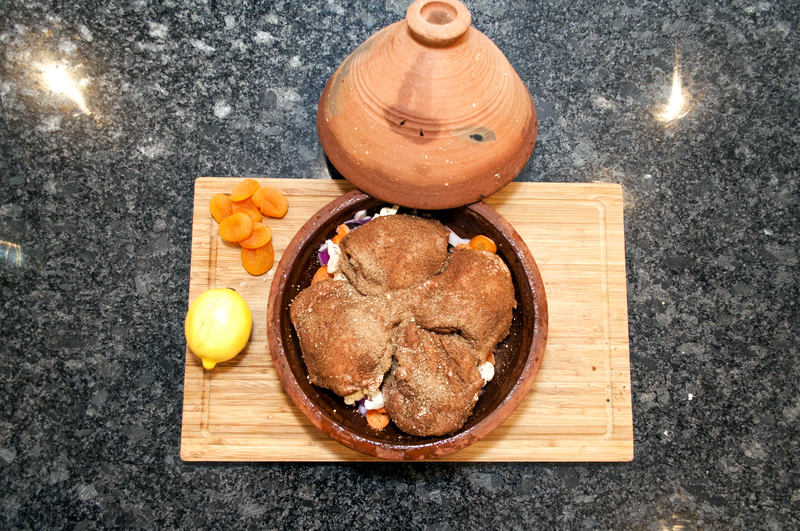 There you have our Chicken Tagine! As always, feel free to make this recipe your own and let us know the results! Looks awesome! 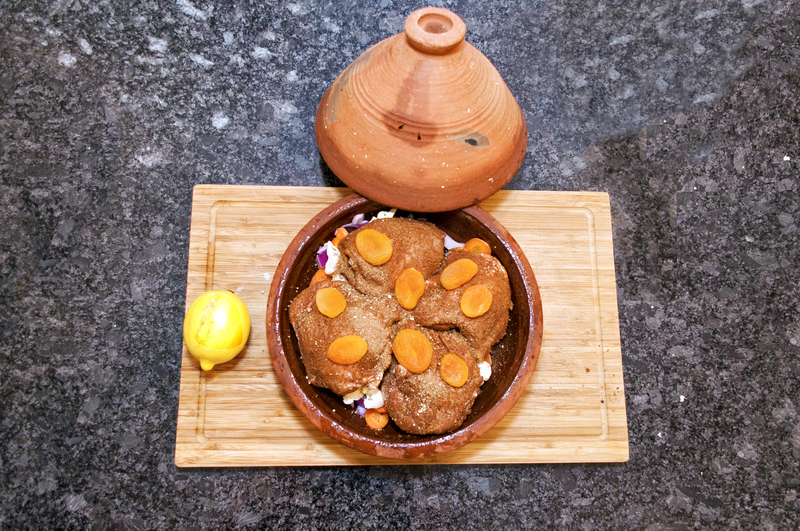 I’ve always wanted to cook with a tagine! Try it! They’ve been around a long time, because they just work so well. They also really lend themselves to experimenting with combinations, which is my favourite thing to do!